Eleaf iStick Pico Baby comes with an iStick Pico Baby battery mod and a GS Baby atomizer. Just get this compact device for an outstanding vape! Say hello to the Eleaf iStick Pico Baby Starter Kit! It consists of a Eleaf iStick Pico Baby battery mod and a GS Baby atomizer. 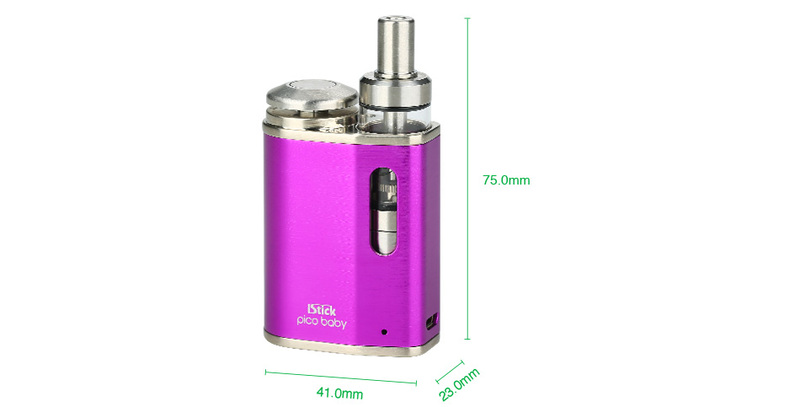 The iStick Pico Baby is powered by an internal 1050mAh battery. It supports a direct output for stable performance. It comes with a safe lock on the fire key too. The 2ml GS atomizer has an easy bottom refill and adjustable precise bottom airflow. Just get this compact and portable device for an amazing vape!